ARE YOU TIRED OF CITY LIFE …………. Do you like to be on vacation to Port Novo and get close to the nature…..Then contact us to be part of this. As part of our effort to promote organic farming system, WWOOF Nigerian Team is organizing an Organic Tour to Songhai farm in Cotonou, Port novo by October 2013. Kindly mark your diary today, this is a special invitation to connect you with professionals to help you grow your farming business, especially in an organic way, this will eventually help you earn lots of money as organic products are of high demand in global market. How would you like to get experts take you on practical learning experience of a high tech farm? Or wouldn’t you like to be proactive on your farming system to increase your produce and high income. You need to be a partaker of this agro-tour. You are also going to be part of this Eco-tourism along side some international volunteers, who has ever willing to tour the West African coast. we have packaged a world class study tour of Songhai farm to expose you to a detailed and professional visit of the farm. We will use this opportunity to explore the rich culture of people of Benin. Songhai farm is one of the largest NGO farm projects empowering Africans, an integrated farm Centre that uses all its waste produce to generate more income and increase produce. 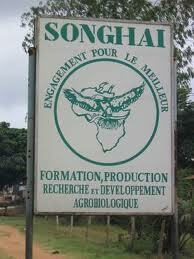 Songhai farm is a chain of agricultural research centres established by a Nigerian American for the promotion of the study of sustainable farming techniques. They grow crops and fruit, raise animals for eggs and meat, turn the crops into products (and make use of all waste products in one way or another) and then sell them…and they have a ‘village’ where people can come and learn the techniques they use. They grow their own fruit. The mangoes and pineapples etc are made into juices and jams. 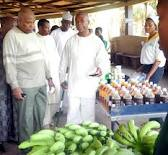 The farm has about 15 sections that are farming, aquaculture, biogas, poultry, mushroom, mechanic, grasscutter, snailery, piggery, and many other things that you will discover at your arrival at the farm. There is so much more to the Center than it is possible to explain in this write up . WWOOF Nigeria Team has packaged a week tour to this farm by October 2013 we invite you to join this turn to learn all you have desired to know about organic farming. Exact date and cost is yet to be announced. Contact WWOOF Nigeria Team for reservation and for more information. You stay at WWOOF NIGERIA GUEST HOUSE, and also we have several host that can accommodate you, choice is yours.